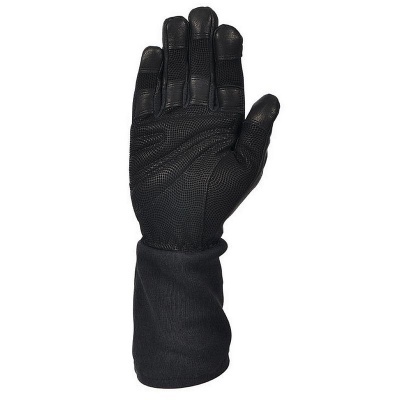 The impressive combination of leather and Kevlar fibre ensures the Southcombe SB02549B Special Operations Tactical Gauntlet Gloves are the perfect choice for police, military and security work, and even SWAT, tactical teams and special forces. Thanks to their injection moulded hard knuckles, these extra long gloves protect your hands from impact and your lower arms from slashes. The Special Operations Tactical Gauntlet Gloves are made from advanced materials mixed with cutting edge design to deliver the perfect protection for SWAT, tactical teams and special forces. Their padded knuckles and fingers provides superb impact protection, while the extra long design shields your lower arms from cuts and slashes. 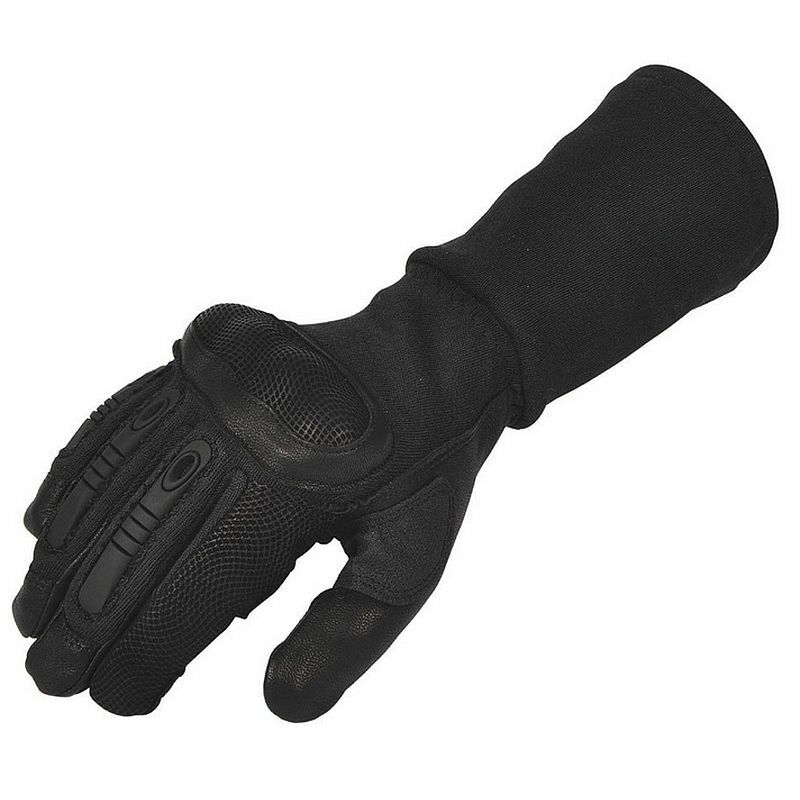 The Special Operations Tactical Gauntlet Gloves are available in six sizes that should suit the hands of most users. Please measure the circumference of your hand around the knuckles (excluding the thumb) with your hand open and your fingers together, and the length of your hand from the tip of your middle finger to your wrist.